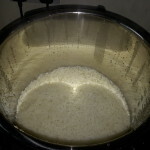 Pressure cooking brings up images of an old fashion method of cooking where there is danger. I imagine lids and food flying out of a pot. It is this image that has meant that I have never used a pressure cooker. 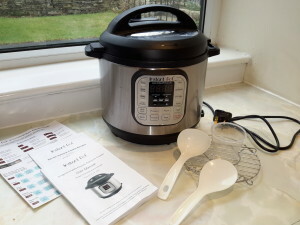 A couple years ago I was visiting my sister in the US who had a new gadget (an electric pressure cooker). She told me how this gadget meant that she could cook ribs in about 30 minutes. Since I never make ribs here in the UK, I just dismissed the idea. But a few months ago I was at Costco’s and noticed the Instant Pot®. My foodie friend Marie was with me and of course she had heard about them. So, I investigated a bit more. I decided to have a go and purchased one before Christmas. At £89.99 plus vat, and unconditional return policy, Costco’s seemed like the best place to make the purchase. Instruction Manual – Since I have never used a pressure cooker before, a more detailed manual would of bee appreciated. Recipe Book – Somewhat limited! I am not sure if features 7-14 are anything special other than pre-set pressure cooking times? Performance – To review its performance I will focus on just 6 of the many items that I have cooked. 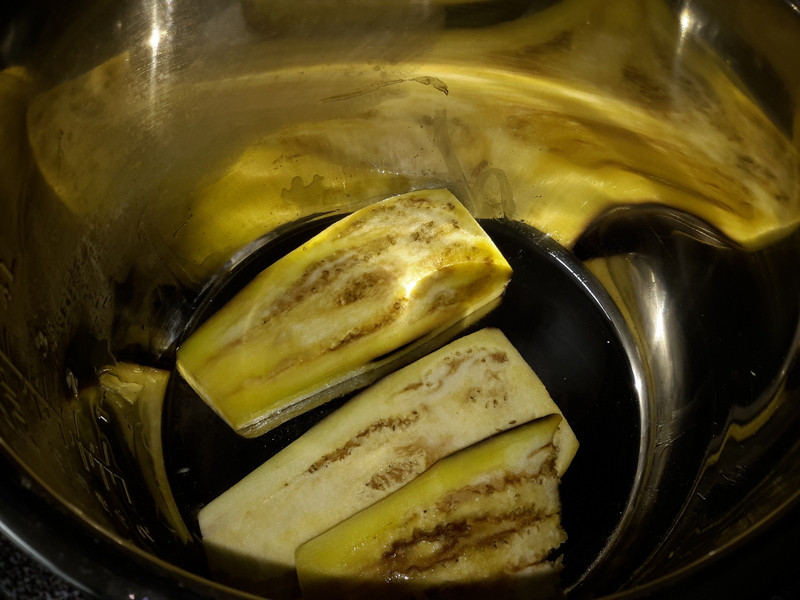 Stock – I will never have to buy chicken stock cubes again! Some herbs if you feel like it! The next day it was like jelly! I tried a similar with fish bones from a whole salmon. Again, it worked brilliantly, but it took a lot of bicarbonate soda and lemon to get the fish smell out of the pot! I have not tried vegetable stock, but may do so in the future. 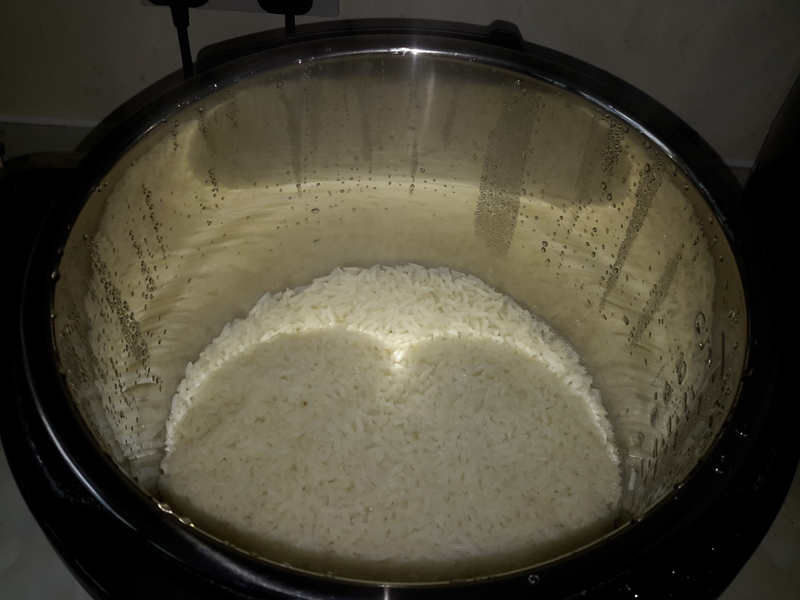 This function may not be important to many people who can cook rice well; but I always seem to overcook rice. However, with the Instant Pot® it came out perfect. So, for me I am sold on just this feature! 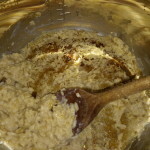 We have porridge almost every morning. It does not take long in my non-stick saucepans, but I thought I would give it a try. Given the time to build the pressure you best stick with the traditional method. However, the real disappointment is when you find out that milk sticks to the pan. Well of course there is some milk in porridge making! I particularly like aubergines sliced oblong. 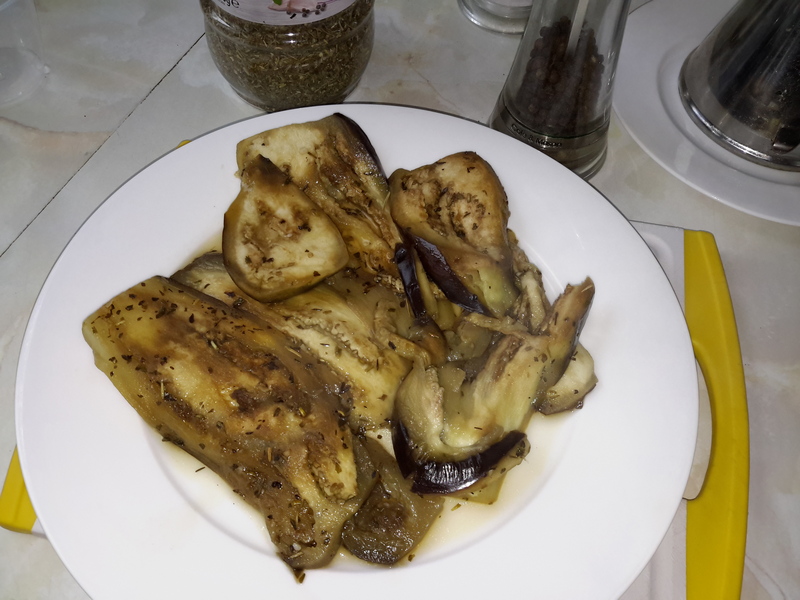 To give colour I saute the aubergines in some olive oil. When using the saute function it then does not take very long to bring the pressure up. It takes the pressure build up from about 10 to only about 5 minutes. 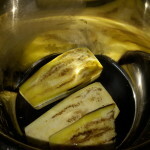 Place the aubergines in the pot with about ½ cup of water. Pressure cook for about 3 minutes. I usually do not release pressure right away, but give it a few more minutes. Charlotte Potatoes are my favourite potatoes. Now they are definitely my favourite. I simply rinsed a few charlotte potatoes and sat them on the rack provided. 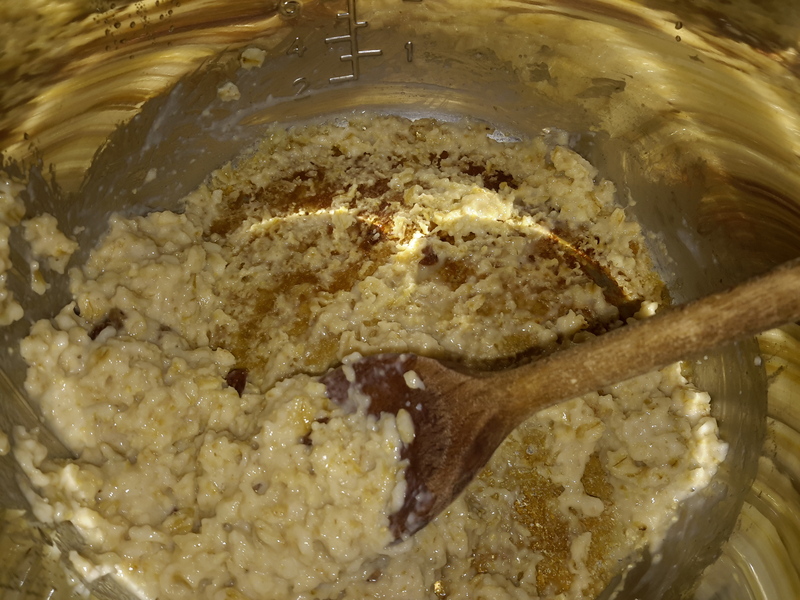 Added about a cup of water and set the high pressure for 10 minutes. I did release steam, but next time I will try and set pressure for 8 minutes and let them depressurised until needed. Casseroles, steamed puddings, and many other items have been tried in the Instant Pot®. Most have been easy and delivered very successful results. The saute function is what makes this type of item very useful. So, no longer is there the browning and then putting into another pot/slow cooker. It is all in one unit. Overall, I think this is a very useful purchase. For those who are considering a slow cooker, I would strongly suggest that they consider this purchase because you get so much more for your money even though it is initially a much bigger outlay. So 4 out of 5!